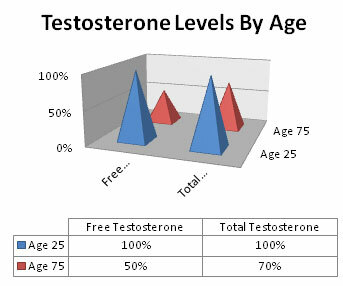 When testosterone levels decline with aging, they will fall below what is considered to be the normal range for this hormone within the human body. 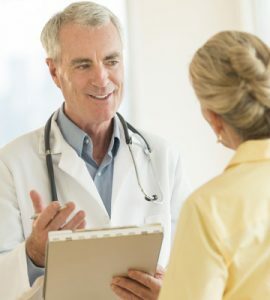 This is called a testosterone deficiency or low T. It is impossible to stop this from happening, as a person will always age and the body will slow down; including the parts of the body that produce testosterone. In males it is the testes and in women it is the ovaries. The popular source of Wikipedia explains what a testosterone deficiency is. They also call this condition, hypogonadism. Put in simple to understand words, when the gonads (testes for men and ovaries for women) age as a person ages they stop producing as much testosterone as they did when the person was younger. This will bring about symptoms. Loss of sexual functioning, weight gain and muscle loss are common for men and early menopause is common for women. There are ranges that are put into place so people can determine where they fall on a chart (see below). There is also treatment to combat the symptoms that occur when a testosterone deficiency is present and these will be discussed. Both men and women will experience testosterone deficiencies as they age. If they are otherwise healthy adults, a testosterone deficiency in men and a testosterone deficiency in women can be easily detected. How to find out if you have a testosterone deficiency is simple. 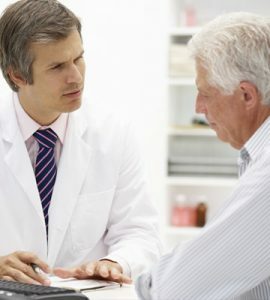 When working with your reputable testosterone replacement therapy (TRT) clinic or hormone replacement therapy (HRT) clinic, you will be required to get blood testing. 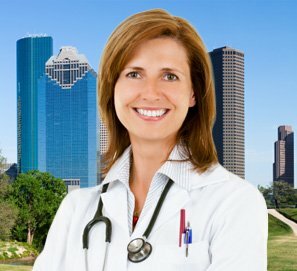 Advisors will usually set up this appointment up within the patient’s home city in the earlier part of the morning when levels are said to be at their highest. This will give the most accurate read. According to Wiki, levels can fall as much as 13 percent throughout the day. This is why testing should be done between the hours of 7:00 a.m. and 10:00 a.m. The blood test is very easy. It is done exactly as if one was getting a routine blood test during their yearly physical exam. 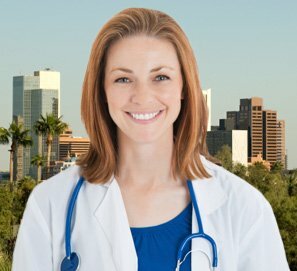 The test will be measuring testosterone levels and the results should be read by the licensed physicians back at the clinic who are experts in HRT and TRT. They can tell if levels fall into low, high or normal ranges (depending upon the clinic and what they consider to be low, high or normal – this can differ). 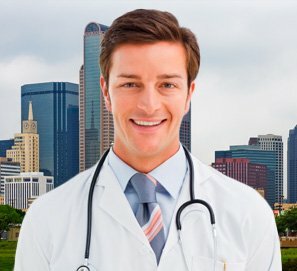 Testosterone replacement therapy is one of the safest and most effective ways to create lasting change and to rid of the symptoms that occur when either a man or a women suffers with low T. When using a clinic that is reputable, has a successful track record and even has testimonials and reviews raving about its program and staff, it helps to boost confidence that it is an honorable and trustworthy place to work. 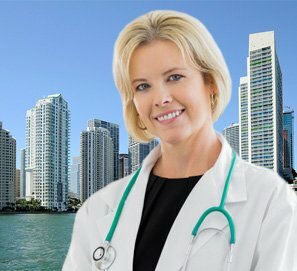 A person will simple call a toll free phone number and speak with an expert clinical advisor. They will then get and share information until they decide what the best route for them to take is. If they decide to continue with therapy, they will get blood tested, get a physical exam and share their medical history. 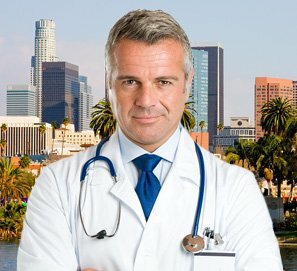 Doctors will get the test results, analyze them and determine if a low testosterone diagnosis should be given. If so, the client will get the correct diagnosis and then they will get a prescription with a full tailor made treatment plan for therapy. This plan will include the correct bio-identical testosterone medications and also an education in natural ways of raising testosterone levels. These will include getting plenty of sleep, eating well, exercising, reducing stress and never smoking.